Last Friday night, I attended a spectacle. The Lumad Basakanon dancers, many-time Sinulog champions, astonished the crowd. Raki Vega sang the Olympic theme, “Reach.” Marichu Jao San Juan, the Hall of Fame volleyball star, helped light the torch. Govt. cabinet secretaries Ace Durano and Jesli Lapuz spoke. So did Vice Mayor Mike Rama. 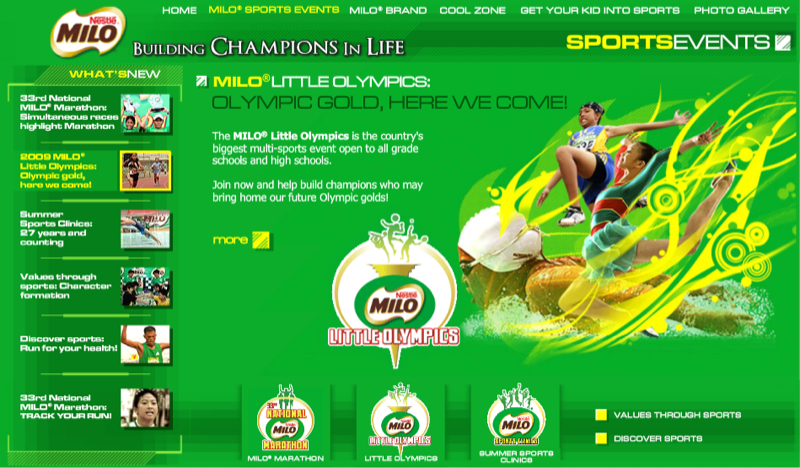 It was the Opening Ceremony of the 1st Milo Little Olympics National Finals. And, who else to host this “first” but our very own, Cebu City? A total of 2,333 athletes and coaches jam-packed the Cebu City Sports Center. The four contingents that paraded the oval—representing Luzon, Visayas, Mindanao and NCR—were, I’m sure, impressed. Thanks to one company who, for decades now, has supported sports. And thanks to one man who, in my analysis, is one of the country’s leading organizers of festivals and sporting events. Since the Milo Little Olympics was first launched in Cebu City in 1996, Ricky Ballesteros has been there. Helping then-Councilor Joy Augustus Young (who was the lead organizer), Ricky has manufactured a sports event that’s unmatched nationwide. Consider this: No elementary and high school-based grassroots sports program is bigger, brighter, better. Back to last Friday’s Opening Ceremony, what a sparkling extravaganza. Seven large screens stood on the giant stage. Apart from the Basakanon dancers, contingents from Danao, Carcar, Moalboal, Sibonga and Toledo performed. Sitting on the stage meters away from the CEO of food giant Nestle, I could see the look of amazement in the face of John Miller. Because no other city in these 7,107 islands could have staged a more extraordinary Opening. Not Makati. Not Davao. Not Bacolod. Only in Cebu. Thanks to these two, Milo and Ricky. Thanks to Pat Goc-ong, the Assistant Vice President and the Sports Executive of Nestle. Thanks to Nestle and it’s youthful and vibrant team. To me, the highlight of the evening was the lighting of the torch. As the thousands who overflowed the Abellana grounds awaited, Marichu San Juan and the event’s youngest competitor, Vic Glycen Derotas, stood on the side stage and, with their arms outstretched, a blazing flame propelled from front to back. All in one second—the torched burned! Amazing. Stunning. Incredible. It was like the Barcelona Olympics. Only one man could have formulated such drama and theatrics. And only one company could have sponsored such an event to showcase the episode. Ricky B. Milo L. O. 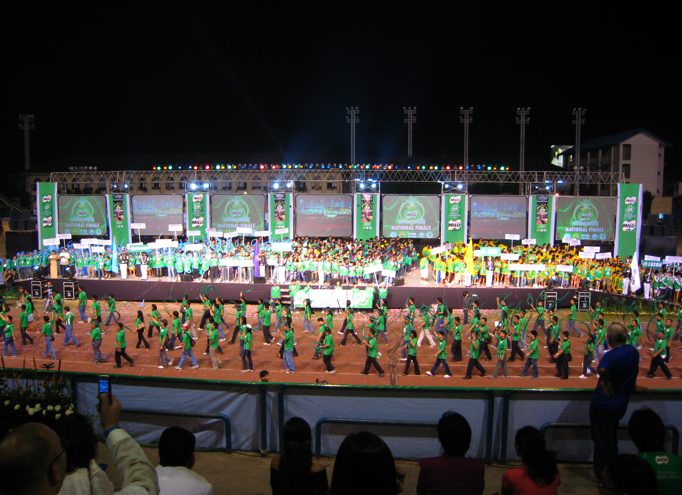 At the end of the show, when the dancers had occupied the oval and the Milo song had been sung, it was time for another fascinating scene. The fireworks! For nearly 10 minutes, the black ceiling of the earth glowed and sparked. What a fitting ending to an evening—and a perfect start to the 1st Milo Little Olympics National Finals. This was two nights ago. Yesterday, blessed with perfect weather, the action started. A total of 13 events began play. Sprinters dashed. Swimmers dove. Chess players pondered. Gymnasts bent their elastic bodies. Volleyball spikers jumped. I spent most of the day watching lawn tennis. My daughter Jana, in Grade 5, and her two teammates from Bright Academy represented the Visayas. They lost in the morning to a strong Mindanao squad but won in the afternoon against NCR. If they beat Luzon this morning, they’ll win the silver medals. Also, late yesterday afternoon, I visited the Sports Center grounds. I saw the 1500-meter track-and-field races. It was exhilarating to watch, these boys and girls circling the oval. Footballers kicked and defended on the soccer rectangle. Hundreds of athletes roamed the complex. Ricky Ballesteros, his voice fading but his spirit energetic, then grabbed the microphone and commenced the awarding ceremonies of athletics, swimming and taekwondo. The entire complex was sporty, spirited and splashed with one color. Milo green.